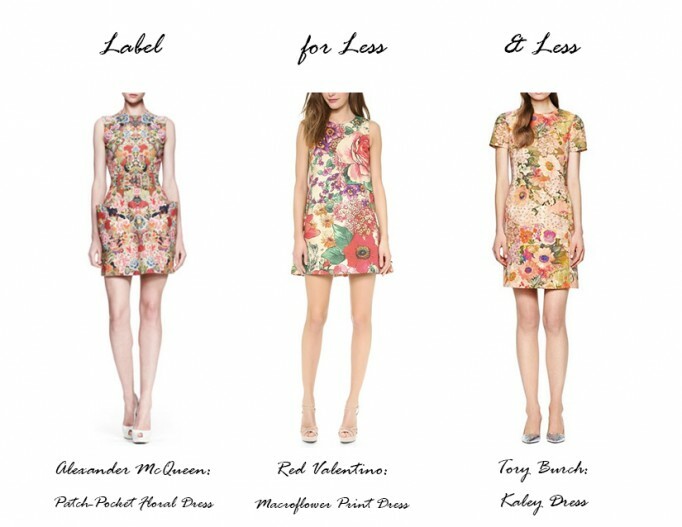 Spring florals are blooming everywhere and especially on these dresses. I saw this floral dress by Alexander McQueen (Label) and have been swooning ever since. The mirrored pattern is amazing and the fit is perfection. Since I can’t justify spending so much on a dress right now I’ve found two less expensive options that I think are equally as fabulous. The RED Valentino (for less) dress has a great floral print and the ruffle detail on the back adds a little something extra to this otherwise simple shape. And then there’s the shift dress by Tory Burch (& less) who’s floral print is inspired by the vibrant florals found in impressionist paintings. So which would you want in your wardrobe? Label: Alexander McQueen, $2,955. For less: RED Valentino, $595. & less: Tory Burch, on sale for $237.